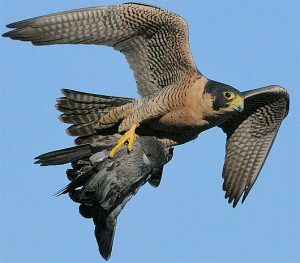 Predators such as this Peregrine Falcon are always a threat! This American Crow Some has djusted to human cities quite well. 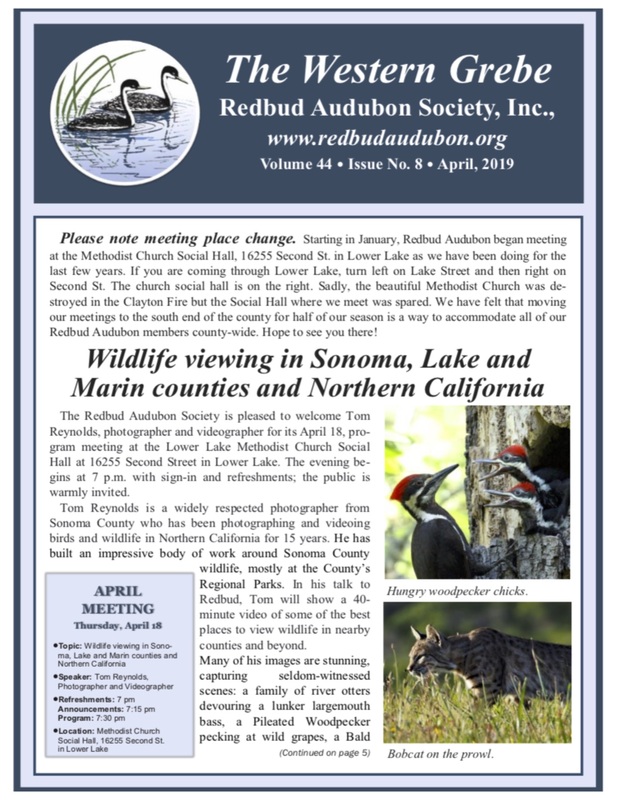 The upcoming Jan. 18 Redbud Audubon program at the Methodist Church Social Hall in Lower Lake will be presented Dr. Roger Lederer, Professor Emeritus of Biological Sciences at California State University, Chico. Refreshments will be served and the program will start at 7:15. 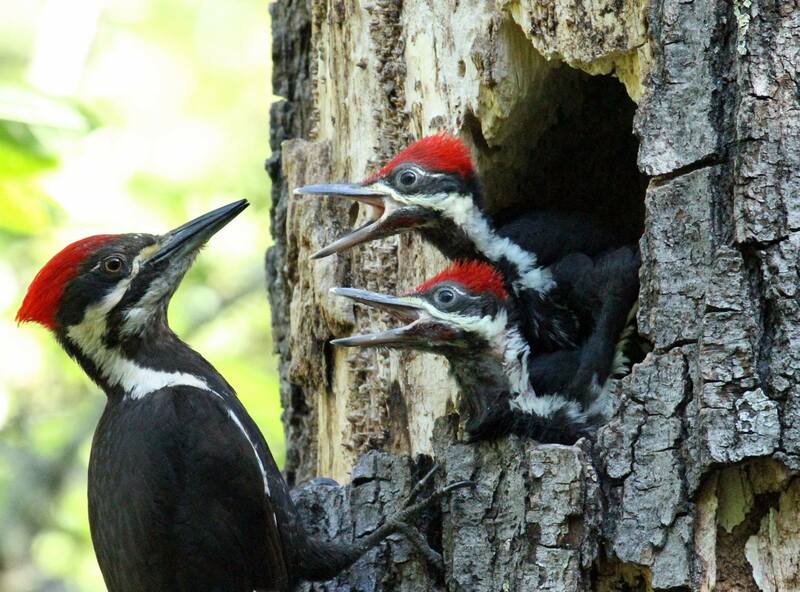 Dr. Lederer will focus on how the struggle for survival has shaped birds and their behavior. 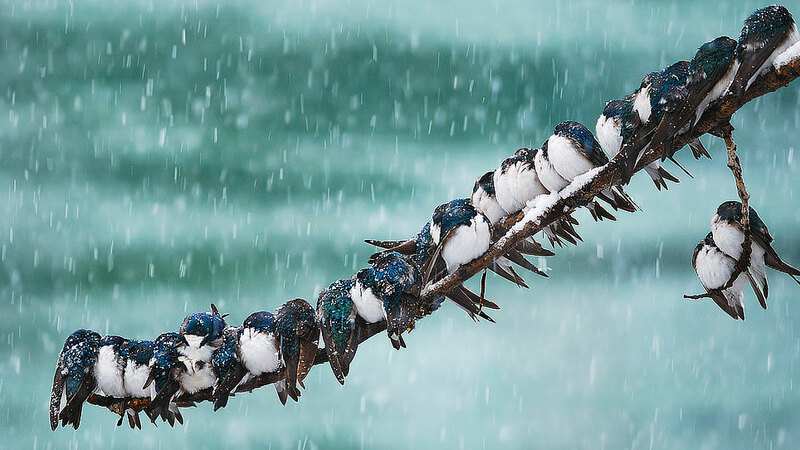 “We think of birds as happy-go-lucky animals – “free as a bird” as they say, not having a care in the world. 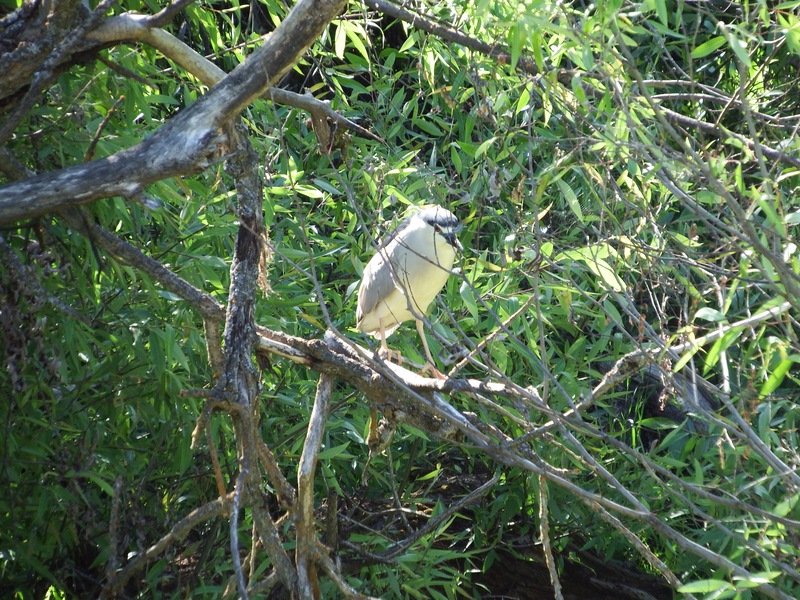 Singing, flitting from branch to branch, it appears that they just enjoy life. But in reality, things are much different. 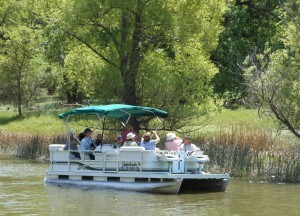 Birds’ lives are very precarious,” Dr. Lederer notes. Birds have to be on task every moment of every day, he explains. They have to use their senses, find food, migrate, face the weather, avoid predators, deal with competitors and interact with an environment modified by humans. Over the past 200 million years or so, birds have evolved physical abilities and behavioral strategies which have allowed them to survive day to day. 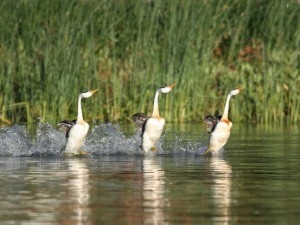 Only the most well-adapted birds go on to the next stage in their life, reproduction. “Unlike humans, the age of most birds doesn’t affect their chance of dying; most birds have an equal chance of dying at all times of their life – they don’t really age, but live a perilous life. Sickly or injured birds are rarely seen in the wild as any decline in their heath or injury puts them at immediate risk of death, so you only see healthy birds on your bird walks,” Lederer explains. 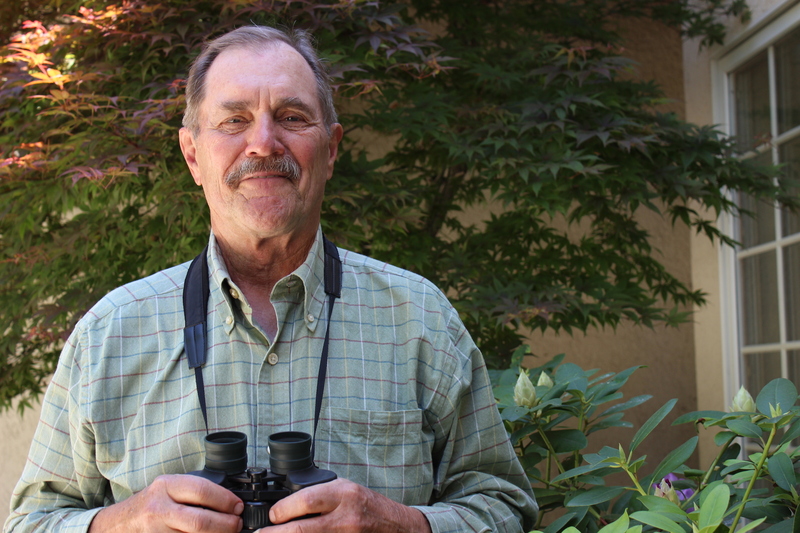 With ornithological science as the background, Dr. Lederer will explore the common and unusual ways birds put into operation their physical and mental adaptations and tell fascinating stories along the way. He will explain how birds use their ability to see ultraviolet, probe for food and find it without seeing or touching it, fly thousands of miles non-stop, change their songs in noisy cities, and other stories of the amazing things birds have to do to simply make it to tomorrow. 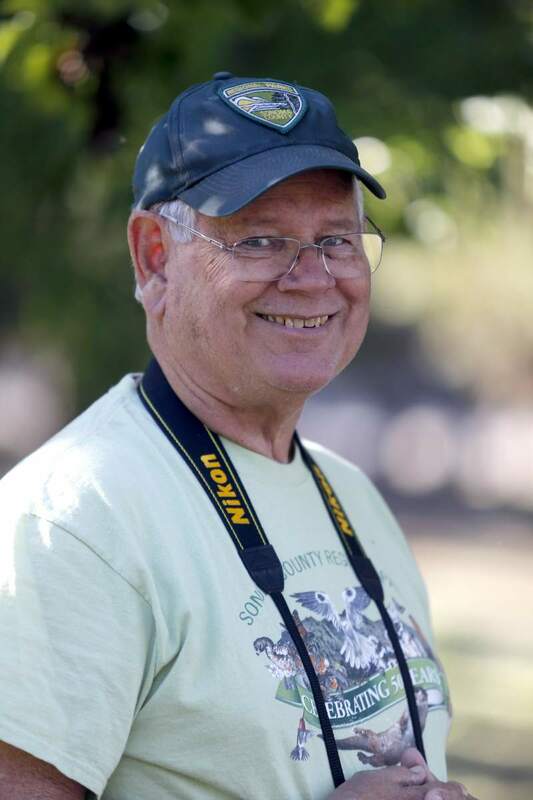 Dr. Roger Lederer’s expertise is ecology, science education, and ornithology. He has published over 30 scientific research papers and eight books, including Ecology and Field Biology, Pacific Coast Bird Finder, Amazing Birds (in seven languages), Birds of New England, Latin for Bird Lovers, and Beaks, Bones, and Bird Songs. Dr. Lederer taught at the university level, served as the Dean of Natural Sciences, consulted governments, private organizations and schools on environmental issues, and presented hundreds of public presentations to a wide variety of audiences. 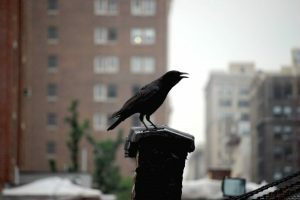 He has been contacted by BBC, National Geographic, National Public Radio, National Canadian Television, Vanity Fair, the New Yorker, the Guinness Book of World Records, Real Simple Magazine, the Detroit Free Press, Voice of America, ABC News, and many other organizations and individuals for authoritative information on wild birds via his popular website, Ornithology.com. Dr. Lederer has traveled to 100 countries and has been a guest speaker and naturalist on several cruise lines across the world since 2001, speaking on ecology and natural history.